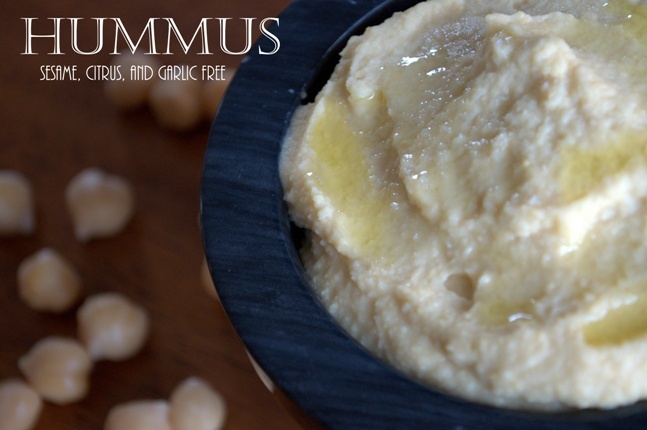 The simple, rustic, deliciousness that is hummus. This version takes the dish right down to basics to celebrate the earthiness of the beans, fruity notes of good quality olive oil (sources*), and a savory finish that makes it satisfying no matter what time of day you choose to eat it. You’ll notice that this recipe uses canned beans. Gasp! Crash! The horror! I chose to include this version for those days where you need good food fast that requires little effort. Buying dried organic beans and properly preparing them is definitely the preferred method for optimal digestibility, but I promise you that canned beans are less damaging to your body and psyche than running through the local drive-thru. For those of you with a more sophisticated palate like my 4 year old, I have also included a Kalamata olive version. It’s a new favorite at my house. For the adults, we drizzle a spicy pepper infused oil over the top. Perfection. Blend on low until desired consistency is reached. Spoon into bowl and drizzle with additional olive oil to serve. Serve with crisp veggies (some suggestions: steamed or raw carrots, tri-colored peppers, broccoli and cauliflower, endive) or spread on grilled meats for a quick and satisfying grain-free meal. 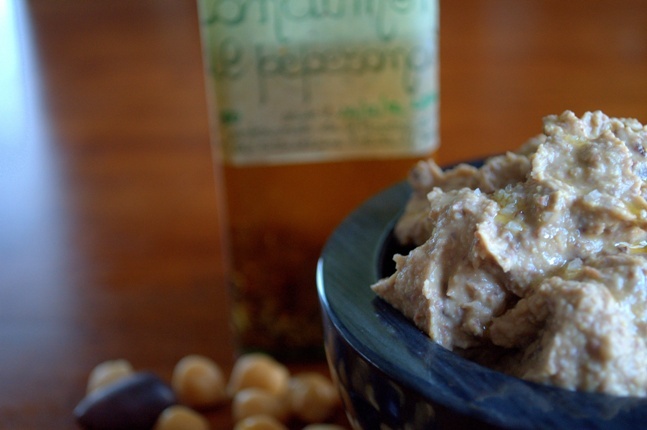 where can i find a bpa-free can of chickpeas? whole foods? sprout’s?